Zoltan Rozsnyai* was born into a musical family. Both his parents and grandparents were professional musicians. He studied piano and violin, before taking up the cello at the age of six. He joined the Windsor Symphony at 15, then left to attend the University of Toronto two years later. While in Toronto, he studied with Vladimir Orloff and Daniel Domb. Zoltan also took masterclasses at the Banff School of Fine Arts, studying with Aldo Parisot, Tsuyoshi Tsutsumi, and Janos Starker. He played for many years in the Canadian Opera Company and National Ballet orchestras, as well as performing as soloist and chamber musician throughout Ontario. Zoltan also spent a year in India with his electric cello, traveling and collaborating with musicians. 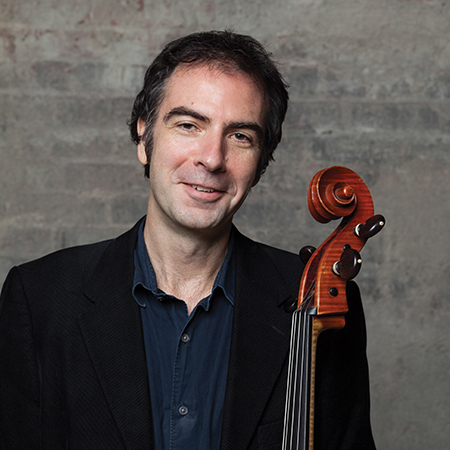 In 1999 he joined the Vancouver Symphony Orchestra, and has been the Assistant Principal cellist since 2001. Zoltan maintains an active and varied musical life in Vancouver, and lives with his wife and young son.